McALLEN — The South Texas head of an engineering company at the center of an ongoing FBI probe committed suicide Monday night, just days after the investigation into the firm began yielding results in Laredo last week. Louis H. Jones Jr., a former engineer and principal of Dannenbaum Engineering, killed himself Monday night, Hidalgo County Judge Ramon Garcia confirmed Tuesday afternoon. “Unfortunately, it’s true,” Garcia said. Details about his death, however, were hard to come by. It’s unclear where and why Jones took his own life. Dannenbaum released a statement Tuesday afternoon after news spread about his death. Jones had been employed with the firm for over 38 years, securing lucrative civil engineering projects across the state, including for work associated with the construction of Hidalgo County’s first border wall — a levee project worth over $200 million — and the failed construction of an international bridge in Brownsville that was never built. The company also manages more than half-a-billion dollars’ worth of roadway projects for the Hidalgo County Regional Mobility Authority (HCRMA). Following the raid, Hidalgo County pulled out of an agreement with the firm to have it oversee the construction of the new county courthouse, a project estimated to cost about $150 million. The HCRMA board, however, voted to keep working with the company, but it’s unclear if that remains the case today. Jones admitted he was under investigation by the FBI in a deposition for a lawsuit filed by Hidalgo County against its former drainage district director, Godfrey Garza, and Integ Corp., a company tied to Garza and his family. The lawsuit alleges Garza improperly profited from the construction of the border wall levees and implicates Dannenbaum in an alleged bribery scheme. “I’ve learned that I am the subject of an FBI criminal investigation, the breadth of which is uncertain,” Jones said invoking his Fifth Amendment rights during the deposition, which was published by Propublica and the Texas Tribune. Just last week, the Laredo Morning Times tied the company to the guilty pleas of two elected officials. Former Webb County Commissioner Jaime Canales and former Laredo City Councilman Johnny Amaya pleaded guilty last week to conspiracy to commit bribery in a federal court in Houston. It’s unclear if Jones was in any way connected to that federal investigation. The Times, however, reported the indictment against the two elected officials also involved “Co-Conspirator A.” And while federal prosecutors did not name the person, they described him or her as a McAllen resident that served as the lead project manager on most of the engineering firm’s South Texas work. Locally, Jones made headlines for a project now known as a bridge to nowhere. The Brownsville Navigation District paid Dannenbaum $15.4 million between 1997 and 2001 for work tied to the construction of a planned international bridge between Brownsville and Matamoros, but the bridge never came to fruition. Instead, both parties ended up tied in litigation. 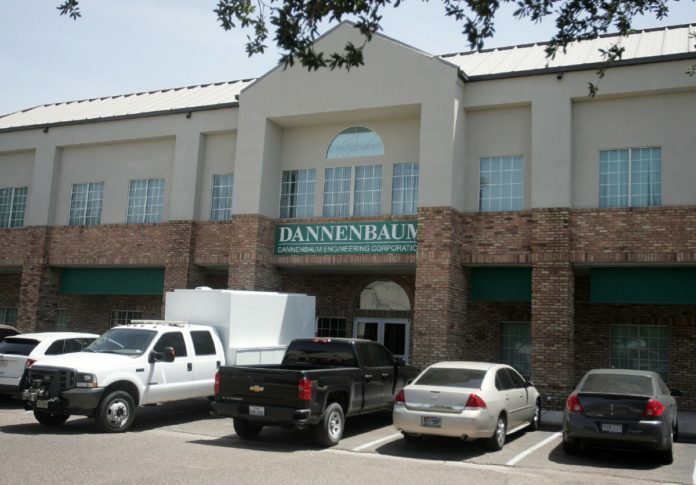 According to Brownsville Herald archives, of the $15.4 million Dannenbaum received, Jones paid three Mexican companies about $9.2 million. An investigation by the district would later reveal Jones was tied to all three of the Mexican companies, a claim he denied. Eventually, the district recovered $1 million from the engineering company in a settlement that cleared the firm of any wrongdoing. Jones is survived by his wife, Maruca Jones.